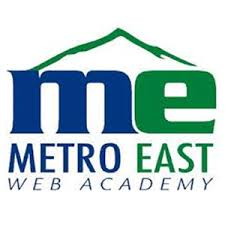 We are excited to have our August Membership Meeting, part of our annual "Summer of EMEA" summer meeting series, hosted by East Metro Web Academy in Gresham. The subject of our meeting will be "Youth, Coding, Education and Business" and we have a fabulous panel of speakers on the docket for this event. Janice Levenhagen-Seeley, Founder & CEO of ChickTech; Sonja McKenzie Portland Program Director of iUrban Teen; and Erik Gross, Co-Founder of The Tech Academy will be our featured speakers for this very special event. 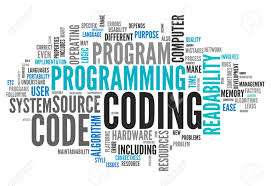 They will be discussing Coding and Coding educations, the need for coders in our region and state, the opportunities for business and education to collaborate and the opportunities available for traditionally marginalized groups. Plus, each will discuss some of the very interesting initiative they are apart of. You definitely do not want to miss this event. Janice Levenhagen-Seeley is the founder and CEO of ChickTech, a national nonprofit that works to increase the gender diversity and inclusion in the tech industry. Janice has a BS in Computer Engineering from Oregon State University and an MBA from Willamette University. She believes strongly that the diversity and strengths that women bring will push technology to even more impressive heights. Her inspiration for creating ChickTech came from her own experiences in computer engineering and the realization that the percentage of women in engineering isn’t going to get higher by itself. Through ChickTech, Janice’s vision is to create a global movement of people working together to reach gender equality. Sonja Mckenzie grew up in Katy, Tx. A suburb outside of Houston Tx. Sonja is a graduate of Sam Houston State University with a fine Arts degree in film. After obtaining a certification for special education. 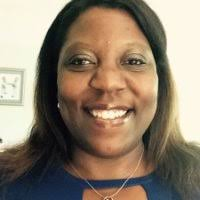 Sonja was an inclusion teacher in the Alief and Fort Bend school districts in Houston. Since 2016, Sonja has been the Program Director for iUrban Teen a STEM+Arts program serving youth in the Portland /Vancouver area. Sonja is a busy mom to four kids aged 12 to 15, she is an active community volunteer with her kid's schools and activities. Also in 2016, she was appointed to the EAST Metro STEAM Partnership Leadership Team. Erik has been involved in technology since the 1980s. He worked in the Navy as a nuclear reactor operator and taught classes there in computer science, nuclear physics, advanced mathematics, and other subjects. It was during his time in the service that he discovered his love for teaching others. Several years ago, Erik established his own software development company called Prosper I.T. Consulting. As he began obtaining more and more contracts, he discovered a need for junior-level programmers to assist him on these projects. Erik observed a lack of available talent and so began personally training individuals on the side to work with him. Between 2012 and the end of 2013, Erik trained entry-level developers at Prosper I.T. Academy. During that time, the boot camp was basically a tutoring service with small classes. Erik did this simultaneously to software development. 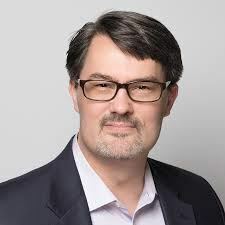 Erik then decided to devote his full attention to the code school and recognized that taking the venture to the next level would take business acumen and managerial experience. He then approached his long-time friend, and seasoned executive, Jack Stanley.